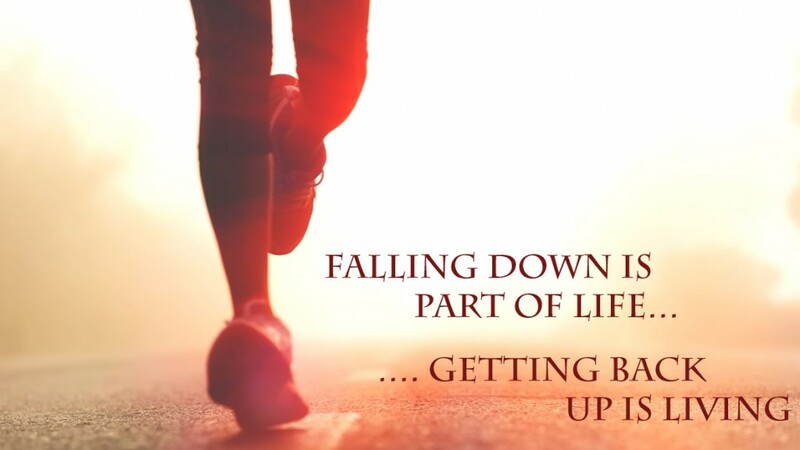 The difference between success and failure is often the ability to get up just up one more time you than fall down! Moses easily could have given up. He had an “interrupted “childhood and lived with a foster family. He also had a strong temper, a stammering tongue, and a criminal record, but when God called to him, Moses ultimately said yes. Joshua had seen the Promised Land and believed they could conquer their enemies and possess the land. Yet he was forced to wander in the wilderness for forty years with cowards who didn’t believe. He could have given up in discouragement, but he was willing to go when God said to go. Peter had a hard time making the transition from fisherman to fisher of men. He sank while trying to walk on water, was strongly rebuked by Jesus for trying to tell Him what to do, and denied knowing Jesus in that hour Mein Jesus needed him most. He easily could have seen himself as a hopeless failure. But when the opportunity came to preach the Gospel before thousands on the Day of Pentecost, he rose to the occasion. No matter what you’ve done, what mistakes you may have made, what errors you may have committed, you’re not a failure until you lie down and quit. Though a righteous man falls seven times, he rises again.